That corporate behemoth of the blogging world, The Huffington Post, has set its UK launch for July 6th, less than two weeks from today. 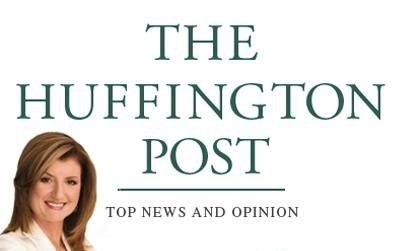 The US Huffington Post has made a star and a very rich woman of Arianna Huffington, who sold the previously independent user generated news site to AOL for $315 million in February of this year. The UK edition is being headed up Carla Buzasi as Editor-in-Chief of Huffington Post UK & AOL Europe, but whereas when it launched the the US in 2005 there was little competition for a liberal-leaning online news portal, that is not the case in the UK in 2011. The Guardian has the long-established Comment is Free that was created in direct response to The Huffington Post’s rise to notability, and there are other movements afoot that still carry the flag of independence and quality in the blogosphere such as The Descrier (full disclosure: TechFruit will be part of The Descrier upon launch). The Huffington Post/AOL have noted their intention to bring quality journalism to the online newspaper, and they do have a number of paid columnists, with more likely added for the UK launch. Many, however, are quick to point out that the vast majority of Huffington Post content is created free of charge by students and independent bloggers hoping to later find paid work in journalism. These bloggers have signed up to work without compensation, but such policies have resulted in claims that AOL/Huffington Post is exploiting a workforce desperate to find an in to the world of journalism, and from journalists themselves who claim their work is being devalued. Indeed, the Huffington Post Union of Bloggers and Writers (HPUB), the National Writers Union (NWU) and the Newspaper Guild (TNG) have all been on strike against the Huffington Post since March after it became apparent that these unpaid bloggers would see none of the $315 million payout its owners had received. Little has been announced about the UK launch, but with AOL laying off current editorial staff across its web properties and instead asking for unpaid bloggers to take up the slack – it seems unlikely the bloggers for Huffington Post UK will be treated any differently. It will be interesting to see how Huffington Post UK fares, as whilst writing for free for Arianna Huffington may have been one thing, writing for free for a billion dollar corporate overlord in AOL may be a whole different story. The Huffington Post intends to have launched in 12 countries by the end of 2011, having previously launched in Canada in May.